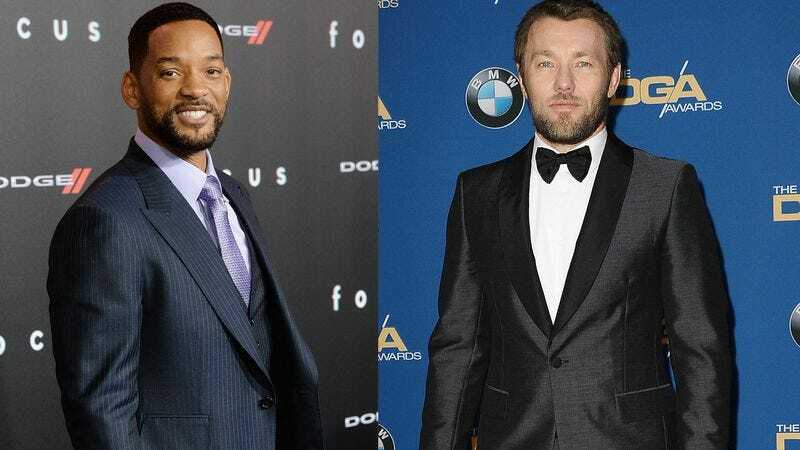 The Wrap reports that Will Smith and Joel Edgerton are teaming up for Bright, a cop thriller with “fantasy elements,” that will see one or both of the leads play an Orc cop. Suicide Squad’s David Ayer is directing the film, which is being written by Max Landis (Victor Frankenstein, Chronicle). The film is set in a world where humans, fairies, and Orcs co-exist, and where an Orc is not only on the police force, but is the film’s protagonist. The project is being shopped around, but The Wrap suggests it will probably end up at Warner Bros., where Suicide Squad was produced. Bright is already being compared to Ayer’s End Of Watch, which starred Jake Gyllenhaal and Michael Peña as LAPD detectives who stumble upon a human trafficking ring, but it’s unclear at the moment which actor will play the Orc cop. Smith and Edgerton could both end up voicing CGI characters or donning motion-capture suits to play Orcs, or maybe they will pair up as a fairy and Orc to create a new detective odd couple. Smith already established his lawman bona fides in the Men In Black franchise, while Edgerton has some experience with the fantasy genre, having played an Egyptian pharaoh in Exodus: Gods And Kings, Ridley Scott’s retelling of the Old Testament that was mostly made up of white people.